People are sometimes surprised that I can be an evangelical and charismatic Christian and also a member of the Liberal Democrats. After all, they say, the Lib Dems support all kinds of anti-Christian policies like abortion and gay marriage. Well, that is true, but they have a greater number of policies that I can and do support – and there were even more of them until they were abandoned by a leadership that seems over-anxious to get cosy with the Conservatives. But I digress here from my main theme. So it is good to know that, although the party leader Nick Clegg MP is an atheist, the party president Tim Farron MP is a Christian, as is the party’s deputy leader Simon Hughes MP. Tim Farron is also Vice Chair of Christians in Parliament, and in this capacity one of the three signatories of an interesting letter to the Advertising Standards Authority concerning the HOTS Bath controversy, as reported by Gillan Scott. Where does the letter imply that “people should seek faith healing at the expense of medical intervention”? As far as I can tell everyone in this controversy has rejected that suggestion. b) As a Christian I believe that prayer helps – although my belief is that God mostly heals through medicine, surgery and human compassion and ingenuity. c) Freedom of speech – an organisation that makes a faith based claim that is clearly subjective (in the same way that a political party makes subjective claims) should be able to make those claims within reason. I completely agree, except that I would go further than saying “prayer helps”: I believe that God can and does heal today, sometimes apart from medical or other intervention, but medical help should also be sought where available. So well done, Tim Farron, for sticking to your position and witnessing to your faith, even in the den of liberal and democratic lions. It is not very often that I experience a real breakthrough in biblical studies. Perhaps that is because I do not have very many “problem passages,” texts where I think I know what a text says but I disagree! Yet, here is such a text: I Timothy 2:8-15! The passage where we all “know” Paul the apostle instructs Timothy to forbid women from teaching because Adam was created before Eve, because Eve was deceived first (before Adam) and because women have better things to do, that is, to give birth to and to take care of babies! Anyone who has ever taken classes from me knows the importance of context in reading the Bible. Every bible book was called forth by an occasion and was continually preserved and re-copied because it continued to speak powerfully to new generations even when the contexts had changed. So what context might help us to understand the above passage in a new way? Trace looks at the likely context of what Paul wrote to Timothy, including the background of proto-Gnosticism. Read his post to see the course of his argument. This may be new to Trace, but it is not entirely new to me. However, it is a clear and concise statement of this way of looking at the passage. It provides a convenient and freely accessible resource for rebutting the position that in this passage Paul intends to forbid for ever all women from teaching. that Paul had no problem with female teachers any more than Jesus did and that the problem under discussion is rebellion, not women as teachers. 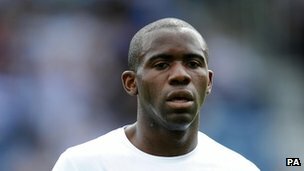 Footballer Fabrice Muamba now seems to be recovering slowly, although he is still in intensive care. See this video for the latest report. Along with most of the nation, I thank God for this remarkable answer to prayer. The amazing thing in this case is that, after collapsing during an FA Cup tie, he is said to have been dead for as long as 78 minutes, with his heart not beating. Even doctors have used the word “dead”. For all of that time people were giving him a variety of medical treatments – and others, even players on the pitch, were praying for him. But it was only after well over an hour that the medical team was able to restart his heart. The more details that emerge about Fabrice Muamba, the more amazing his story becomes. The latest has seen the Bolton footballer labelled the “miracle man”. Nevertheless, he explains, it is possible, though rare, for someone to live again after being dead for this long, with paramedics unable to find any signs of life. Of course one might say that Triggle has to say it is possible because it has happened, in at least this one case. 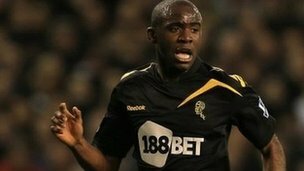 In this case Muamba was receiving the best possible medical treatment and was also being prayed for. So it is impossible to say whether the prayer played any part in his return from the dead, or in his subsequent recovery. But this does raise the question of what happens in cases where apparently dead people are raised by the power of prayer alone, when no medical treatment is available, or when doctors have stopped treating the patient as dead. In recent years there have been many reports of such healings, most controversially in connection with the ministry of Todd Bentley. Now I accept that there are serious issues here in that there is no independent verification of many of the reports coming out of the Lakeland events. But there does seem to be a common pattern among most of the reported raisings of the dead by prayer: that they usually happen within an hour or two of death. So could it be that all or many of the genuine cases (and I assume here that at least a few are genuine) of people being raised from the dead through prayer are similar to that of Muamba? A person’s heart has stopped, probably for some medical reason. There may have been repeated attempts to start it again, but these have failed. As the BBC suggests in Muamba’s case, there may have been some residual activity in the heart, but no regular beat. Then, after an hour or two and in response to prayer, the heart has started to beat again, and the person has come back to life. Well, something like this happened in Muamba’s case, although we don’t know what if any different treatment he received when he arrived at the hospital. So, am I suggesting a naturalistic explanation of reanimation by prayer, that people spontaneously rise from the dead, and there is only a coincidental link with prayer? Not really – although maybe the dead wake up more often than is realised, only to freeze to death again on a mortuary slab. But I am suggesting that the power of God can touch a heart which is still, but maybe not completely dead, and start it beating again. Yes, a miracle, but perhaps one which does not go as completely against the scientific worldview as some might think when they hear talk about the dead being raised. Rupert Murdoch is in enough trouble here in the UK, mainly with the phone hacking scandals involving his newspapers. But I don’t think any of his UK companies have been accused of causing anyone’s death. Like Fred Clark, “I wouldn’t say Fox News is directly responsible for this woman’s death”. But, assuming that the facts as reported are accurate, I would suggest that the Fox campaign of disinformation about Obama and his policies gives them a measure of responsibility, in this case and in any other similar ones. And, just as Rupert Murdoch should accept personal responsibility for the phone hacking at the News of the World, and probably at other newspapers he owns, he should also accept personal responsibility for all of the consequences of the lies told by Fox News. I don’t intend to write much about the departure of Rowan Williams as Archbishop of Canterbury. As some of my readers will remember, I have in the past (in fact in 2007) called for his resignation. I am not now rejoicing that he is going, but I do think he has made the right decision, and that it might have been better for him to resign earlier. However, I will resist the temptation to give this post a title like “Better late than never”. his time as Archbishop has been an impossible one. Thank you for breaking your silence on this matter. But I don’t see the need to extend the convention of not speaking ill of the dead to those who have merely announced their resignation. In many ways Rowan has been an excellent Archbishop. But I still think he failed to show the kind of pro-active leadership which was needed, especially around the 2008 Lambeth Conference. True, he had an impossible task, but I think a stronger leader would have brought about a better outcome. So can a new man keep the Anglican Communion together and begin to heal the huge fault lines within it? If anyone can, I would think it is John Sentamu – not least because he is the only tipped candidate who is not white British. Or will the new man preside over the Communion’s formal dissolution? If so, I suspect that Rowan will go down in history as the archbishop who allowed it to happen.